Today I have Rachit for my interview series. I know Rachit personally also as I have worked with him in past. He is been very active member and community contributor in MSDN forum from quite some time. On 1st January 2016 he was awarded as Integration MVP !!!!! Question: Who are you and what you do? Answer: My name is Rachit Sikroria. I am based in Gurgaon, India where I work for a Consulting firm as a Senior BizTalk Consultant specialized in Integration and Cloud technologies on the Microsoft technology platform. Question: When did you start working on BizTalk and how was the journey till now? Answer: It was 2011 when I was hired by a consulting firm. A fresher back then, I was assigned a project for one of our client where I started learning and working with BizTalk Server 2006. I’ve got chances to work on latest technologies so far with a lot of sleepless, tough yet exciting moments in service. Question: When and how you came to know about that you have been selected as MVP and how did you feel? Answer: The year 2016 opened its first day with this good news. It was around 8 in the evening when I learnt that I am one of those few who have made it to the MVP dais. It was the most eagerly awaited email and it left my zeal fulfilled. My first reaction was thanking God that my efforts were reckoned. Question: Now that you are a MVP, do you feel that responsibilities got added? Answer: May be not a responsibility, but it is definitely an impetus to do more in this field. To learn that Microsoft recognizes our efforts, a virtual leadership is created in us that makes us go on and on with our services. Question: What are your thoughts on forums, blogs and articles etc.? Answer: I think the existence of sources like MSDN forums, TechNet wiki articles etc. have played a crucial role behind success of Microsoft technologies. They are sources of readily available expertise and you get solutions for most of the issues in just few clicks over the internet. Question: What motivates you to do the community work? Answer: For me, the highest compliment is to see people finding their solutions through my answers. I am in awe of other contributors who have achieved intellectual zenith. The biggest motivation is that this community work has helped me both, share and receive knowledge. So when I am answering someone’s question, I’m also learning the many things I am ignorant of. After the award, I see others seeing a leader in me- now that’s a fringe benefit! Question: What do you think it was which got you this reward – kind of contribution you provided to BizTalk community? Answer: Microsoft BizTalk forum is a consecrated platform for devoted contributors. I was tenaciously working for the community from the past many years. I feel that with all the experience I carry and my sedated efforts, Microsoft has acknowledged it with this award. Question: How this award is helping in your career? Are you getting better opportunities? 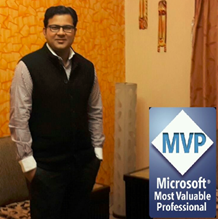 Answer: MVP award has given me that extra connection with the Microsoft Product team and it leads to professional growth. Being a part of the Private mailing-list that has all Azure MVPs together and several Microsoft employees too (including members of the Azure team), is like a dream come true! I am now offered invitations for all the webcasts and tech session which keep me abreast of the latest progress in Microsoft technologies. Question: What advice would you give to anyone about community contribution and this MVP award? Answer: After a careful consideration by the Microsoft panel, MVP award is bestowed to a few “exceptional, independent community leaders who share their passion, technical expertise, and real-world knowledge of Microsoft products with others.” It should be borne in mind that Microsoft community is a platform of only persistent knowledge lovers where both love for learning and love for sharing is needed. My mantra was knowledge driven, not award driven. This award was just Microsoft saying, “Rachit, we like what you do. Keep it up.” Continual dogged efforts and this accolade is yours! Question: Your suggestion to a newcomer? What should be approach to get sound knowledge in BizTalk? Answer: Knowledge is no fortune that happens through a windfall gain. One gets in the cycle of learning, remembering and sharing and it is a long devoted process. Work with lots of learned techies, read and observe. Like in any other discipline, start with the basics and in case of severity, come back to them. Chances of failing minimize if one has a strong base knowledge. Perfection comes later! Question: Do you read any non- technical book? Which one book you have read recently ? Answer: I owe my love of reading to my Professor spouse- since I am surrounded by books, I tend to lay my hands on them for a change. The last book I’ve read is Charles Dickens’s Great Expectations whom I happened to learn about in a recent Bollywood release. Thanks Rachit for sharing your thoughts. Congrats for the MVP award and I wish you all the best for your future endeavors. Last week I got opportunity to chat with Glenn Colpaert for my interview series. Glenn is well know speaker and contributor to BizTalk community. Recently he spoke couple of times in Integration User Group – Integration Monday. He has also written a white paper for the new WCF-SAP library NCo – What to do now that support for the current SAP Adapter ends? He has been awarded couple of times as Integration MVP !!!!! Answer: My name is Glenn Colpaert and I’m based in Belgium where I live in a small town with my wife and son. 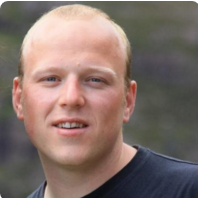 I work as an Integration Consultant for Codit and next to my day to day job I’m also a Microsoft Azure MVP and organizing community events with the Belgian BizTalk User Group. Question: What do you think it was which got you MVP award 2 times – kind of contribution you provided to BizTalk community? Answer: As it’s a top secret on how Microsoft selects/rewards people with the MVP award it’s difficult to say what it exactly was that rewarded me the MVP award. During the years prior of receiving awards I did a lot of blogging and did a couple of talks. After being rewarded as MVP I got the opportunity to do more talks and joined the Belgian BizTalk User Group as a board member, which allowed me to organize community events. I think above combinations allowed me to be rewarded and re-rewarded as MVP. Question: How did you get opportunity of speaking and how was the experience? Answer: The first couple of talks I did was at small local events, after that it’s all about submitting proposals to different kinds of conferences and user groups and hope you get accepted. Once you have that first couple of talks on your list, it appears to be easier on getting accepted to talk on different kind of subjects. Question: Recently you did couple of presentation in Integration Monday and both the time you spoke about EDI. Any particular reason? Answer: No, not at all! I think it just a coincidence ! However, it’s pretty cool how 30 year old standards are still that widely used in the modern days of API’s, IOT and other cloud technologies. Question: What’s your thought on the App Integration on Azure. What is the future of Logic Apps? Answer: Logic Apps is a product that is currently being worked on and is growing fast. I feel there is a big drive behind Logic Apps both from the community as the Product Group! They really take into account feedback and go back to the drawing board with it. I’m not a visionary, but we all know BizTalk is a robust product and will be hard to replace. But I believe with the proper investments and the combination of different services in Azure (Logic Apps, Service Bus, API Aps,…) Logic Apps will be something to watch. Question: Have you done any EDI integration solution completely in Azure? Do you see the future EDI integration can be completely developed and run on Azure ? Answer: Did not have the opportunity to do a real life EDI integration solution in Azure. However Azure currently offers a lot of possibilities to do EDI or act as an intermediary between an on premise EDI solution and the partners. And yes, I strongly believe that future (EDI) Integrations will be completely be developed and run on Azure, but it will require quite some effort to be able to fully replace a product like BizTalk. Question: I see you have been doing quite a contribution to BizTalk community. You also wrote a white paper for the new WCF – SAP library NCo recently. What motivates you to do the community work? Answer: I like learning about new technologies and play with them to build small demos or POC’s. Because it’s a shame to let them sit there with no purpose I often share this with the community by writing a blog post or giving a talk on that subject. I think it’s a combination of staying on the edge of technology and share those experiences with other people and try to create some sort of interaction. Question: Are you speaking in the INTEGRATE 2016 event in London on May 11 -13? Answer: Unfortunately I will not be speaking at INTEGRATE 2016 in London. The reason for this is that I will be unable to attend the event. However the week after INTEGRATE 2016 I will be speaking at another great Integration Event in Portugal: http://tugait.pt/2016/. Question: What advice would you give to anyone about community contribution, speaking and MVP award? Question: What do you do when you are not working? Answer: When I’m not working or fiddling around with some kind of new technology I like spending time with my wife and son doing all sorts of fun stuff. Next to that I’m a big soccer fan, I play it once a week and I go and visit games regularly. Thanks Glenn for sharing your thoughts. If you are new to BizTalk and need some suggestion to move on, you can check out BizTalk Experts Advice. There is also excellent online free resources, MSDN TechNet. This is the best place where the Experts in BizTalk community contribute and share their knowledge. We also have a very active BizTalk MSDN Forum where people help by responding all your query / question. I am starting this interview series with the active members and contributors in forum who responds most of the published questions based on their knowledge and experience. I start this series by chatting with Abhishek Kumar . Abhishek is one of the active member and contributor on the forum who give his best to read all questions and provides the answers based his research, knowledge and experience. He believes, he may fail to answer all the questions but each day he get opportunity to learn something new. 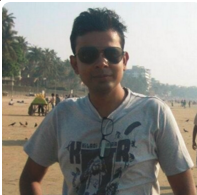 He is TechNet Guru Medal Winner and has been active on forums since Jan 2011. Answer: I am Abhishek Kumar. I am currently working as Integration consultant at Datacom, New Zealand. My work involves around Integration Platform developed on Microsoft Technologies like Microsoft BizTalk Server and Logic Apps recently. With Datacom you get inspired by peoples like Mark Brimble and Mahindra Morar with their expertise in Integration space. They have done a marvelous job in writing book SOA Patterns with BizTalk Server 2013 (2nd edition) and it’s worth reading if anyone wants to learn for experts. Question: When and how you came to know about that you have been selected as MVP first time and how did you feel? Answer: With any achievement you earn, you find lots of peoples helping you out in the way. Same was with me. I find my friend Mahesh S Tiwari and Kent weare as source of inspiration. I got my first MVP award in January 2015 and it’s always a big surprise, when you don’t expect it. You never know until you get a surprise mail from your MVP lead about the prestigious award on the day of judgment. Question: What do you think it was which got you this reward 2nd time – kind of contribution you provided to BizTalk community? Answer: Community is the place of learning. You learn and get concept from various peoples across the world and that’s the moto behind my community contribution. As a Learner or you may say contributor I tried to read each question published to MSDN forums and do my research over it. You may fail but each day you get opportunity to learn something new. Question: How this award is helping in your career? Are you getting new opportunities? Answer: MVP award program gives you chance to meet like-minded experts personally and virtually both. You increase you Knowledge base and learn from these experts around the globe. This is the real gain what anyone thought of being a MVP. If you are a MVP and expert in your own area you will get multiple opportunities which is aligned to your career path. Answer: Do the community contribution and don’t think much about the award. There are always peoples who look for your good work. I never associate my work with any sort of award. If you get praised for your work then treat it as award too:) Community contribution can be done in multiple ways like writing blogs like you do , replying to questions on forums , uploading some useful code over MSDN etc etc. Answer: There was a nice Quote from Tord Glad Nordahl one of the BizTalk Expert and Motivational figure “Sharing is caring”. So if you care about others then do share Knowledge. Everyone has some spare times, and if you utilize it in helping needy ones its self-satisfactory. Thanks Abhikesh for sharing your thoughts. Congrats for the MVP 2nd time and I wish you all the very best for your new Integration Consultant role at Datacom.